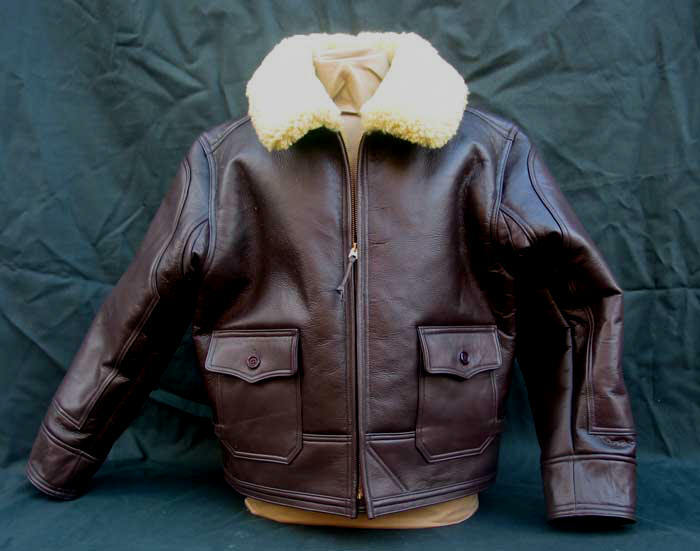 The ANJ-4 represents the final development of the WWII Sheepskin Flight Jacket, incorporating design modifications to the earlier B-3 and (predominantly) USN M445 series. 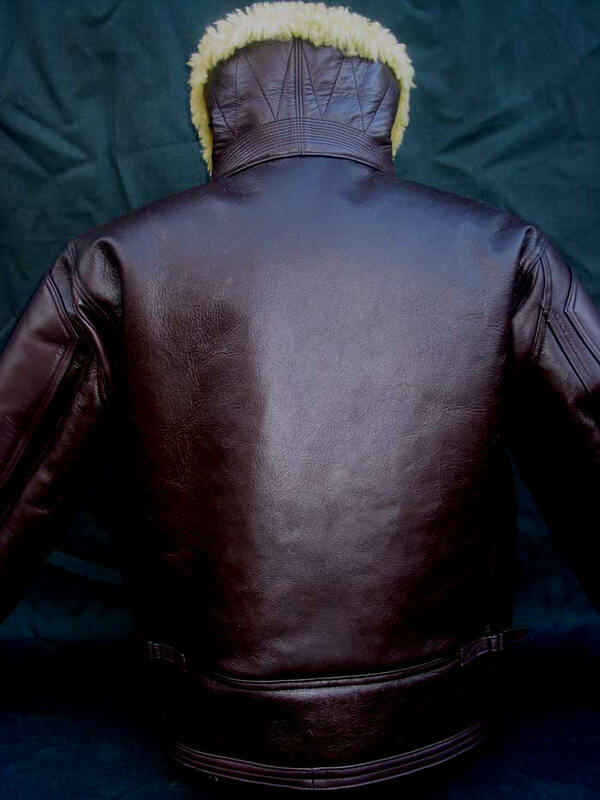 The ANJ-4 increases the use of Goatskin in the waist, cuffs and underarm gussets for reduced bulk and increased wear resistance. 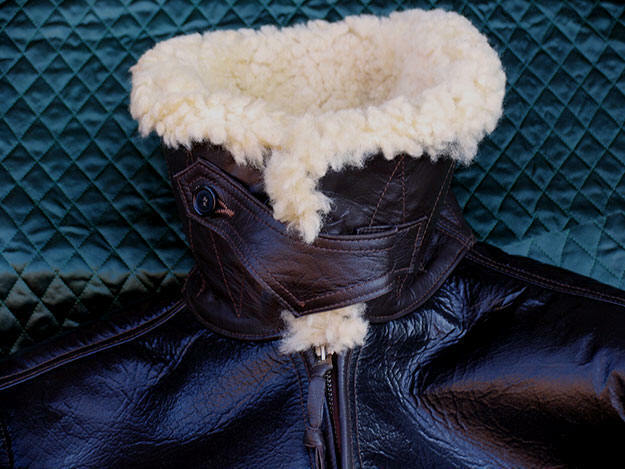 Interior wool cuffs provide wind protection, dispensing with the previous sheepskin cuffs which soiled, wore quickly and interfered with flight glove fit and flexibility. 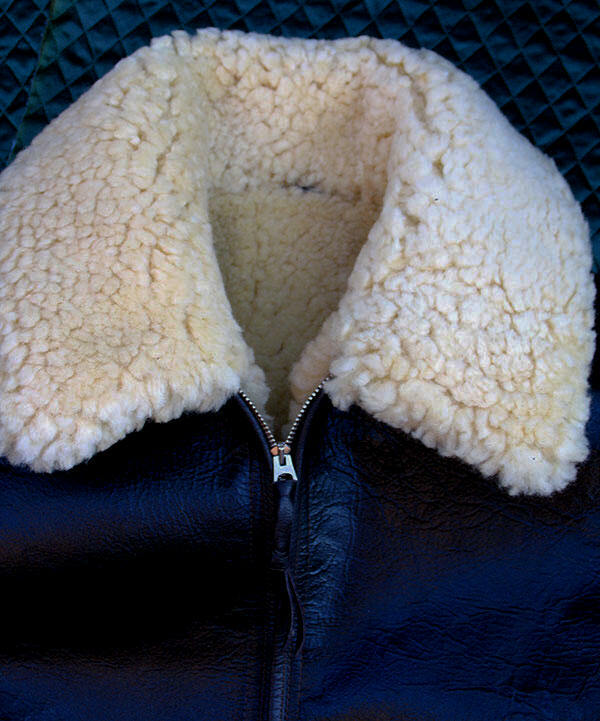 The zipper installation was redesigned on a leather guide tab for easier operation, then strengthened with elaborate Goatskin piping. 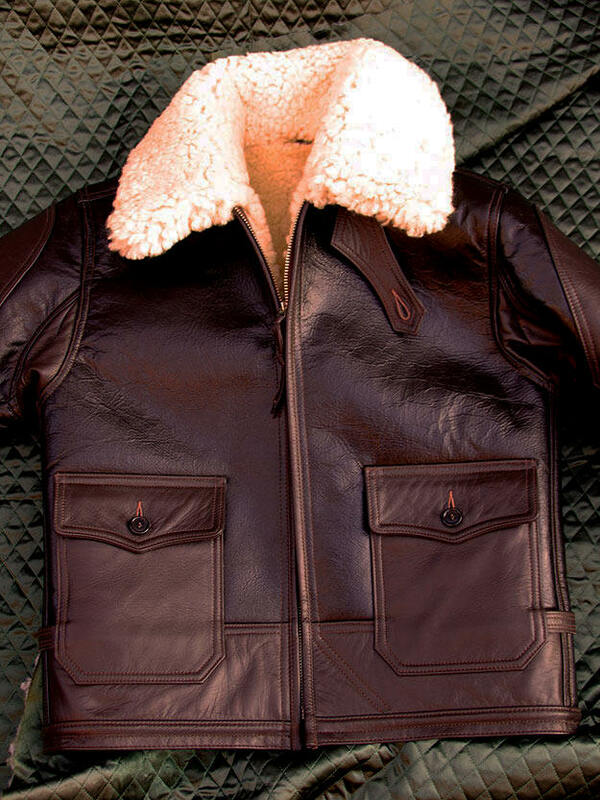 Larger Goatskin facings on sleeves and collar further increase durability and protection. Fur thickness is a hefty 3/4+" throughout: you won't believe how warm this jacket is. Forget about sweaters in virtually any climate. 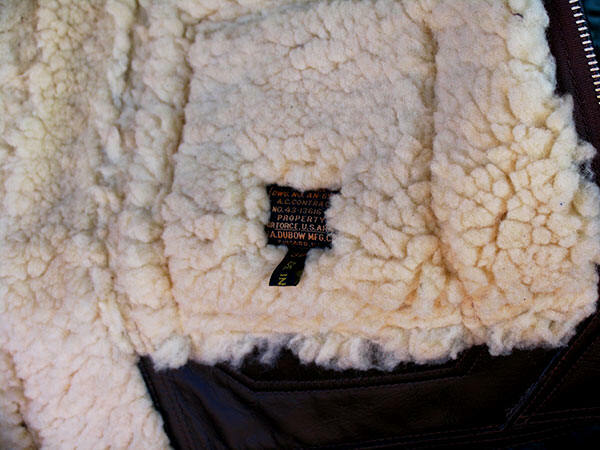 American sheepskins, as per ANJ originals: sheepskin wool and density vary dramatically depending on where the animals originate. Fur color we describe as a yellowish "spoiled milk." 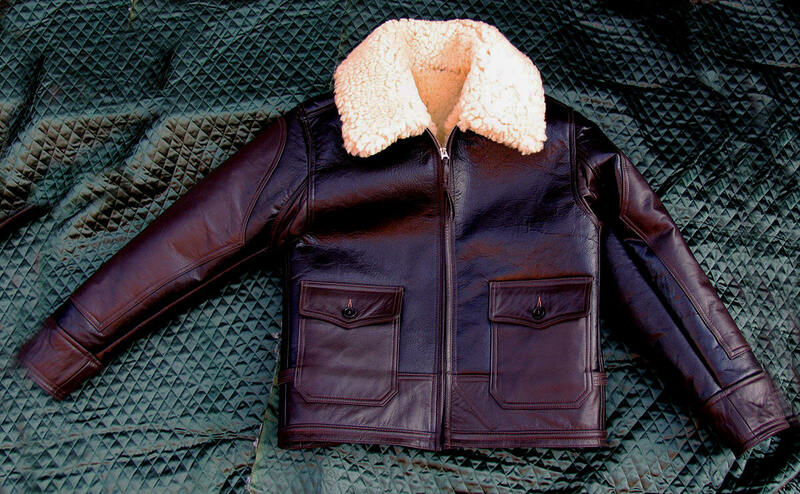 In an effort to standardize wartime flight clothing, ANJ-prefixed gear was issued to all the services. 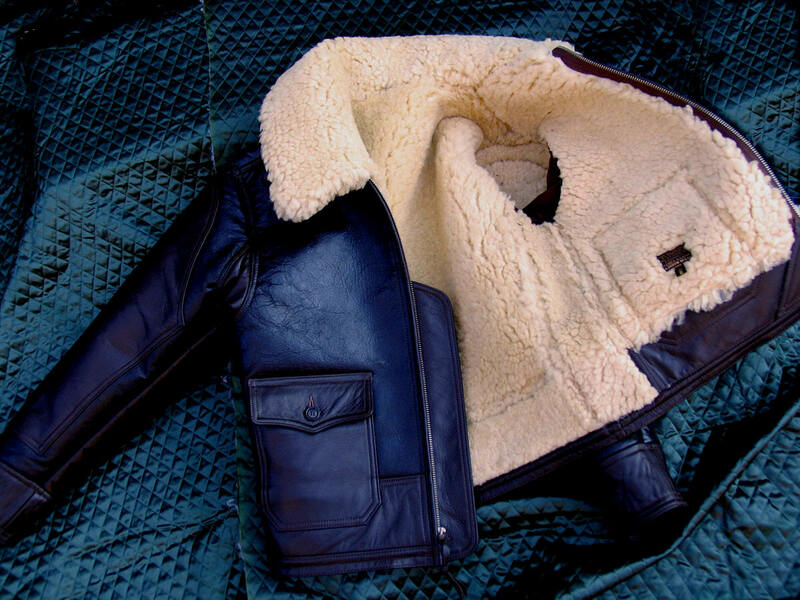 Just a glance at the photos will give you a good idea of the perfection of our workmanship and absolute accuracy and authenticity of materials, coupled with the detail and design knowledge unique to LOST WORLDS Jackets. American bred and made. As we say throughout the site, learn and compare. 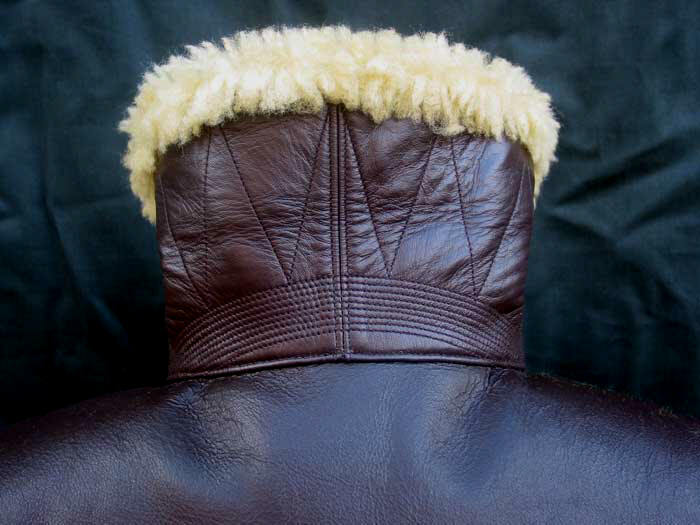 Brass or Nickel Talon or C&C (Crown) Zipper, WWII specification tag, 100% Wool Cuffs. "I received the ANJ-4. It is an incredible piece of work. I am impressed." "Thank you Stuart, I am beyond pleased with my ANJ-4. This beast must be witnessed in person. There is no photograph that can depict the excellence of this timeless and true to spec piece. A true heirloom for my family to own for generations. This thing is a beast! Even when the collar is inches from my neck, I can still feel the heat permeating from it. Incredible. Thank you.""